Pivotal Infrastructure Private Limited launched another affordable housing project in sector 62 “Pivotal Paradise” in heart of Gurgaon near Golf course Extension Road spread over 5.06 acres of Township. Pivotal Affordable Housing Project under HUDA Affordable Housing Policy with file ID LC-3174B License No.5 date 30.05.2016. 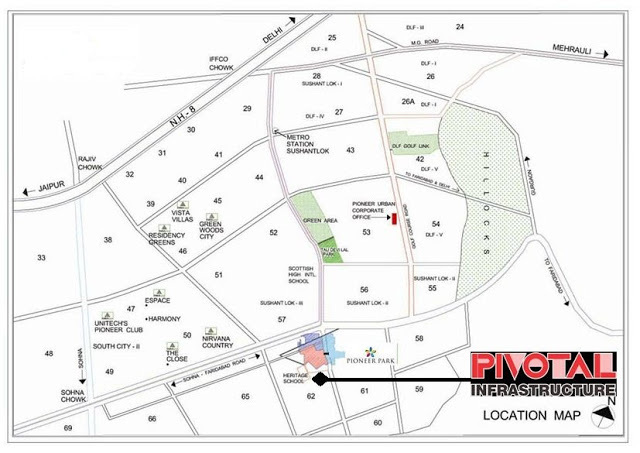 Pivotal Affordable Project Sector 62 Gurgaon is surrounded by many Luxurious Projects i.e. Pioneer Araya, Pioneer Presedia, Ireo Skyon etc. Pivotal Paradise homes will be constructed in the observation of reputed developers and designed by expert designers and architects that assure everything to be perfect in your new house. According to Pradhan Mantri Awas Yojna subsidy of nearly 2.67 can be availed when paying the amount of home from home loans.